Coordinator of Bioinformatics and Genomics at Centre de Regulacio Genomica (CRG). Head of the Computational Biology of RNA Processing Group. Roderic Guigo obtained his PhD in 1988 for work on Computational Methods on Evolutionary Ecology carried out with Dr. Jordi Ocaña at the Department of Statistics from the Universitat de Barcelona He then moved to the Dana Farber Cancer Institute, and later to Boston University, where he was a postdoctoral fellow with Dr. Temple F. Smith. With Dr. Smith, he became interested in Computational Genomics, which have been since then the main field of Dr. Guigo's research. On 1992 he moved to Los Alamos National Laboratory, where he was a postdoctoral fellow at the Theoretical Biology and Biophysics Group with Dr. James W. Fickett. In 1994 he returned to Barcelona where he joined the IMIM-Hospital del Mar Research Institute. Since year 2001 he is the coordinator of the Bioinformatics and Genomics Program of the Center for Genomic Regulation in Barcelona. He is also a Bioinformatics Professor at the Universitat Pompeu Fabra (UPF, Barcelona). Joaquin Dopazo obtained his PhD in Biology at the University of Valencia in 1989. After several appointments in different research centers he worked for 5 years in Glaxo Wellcome (now Glaxo SmithKline) during the late nineties. There he was developing methods for bacterial genomic analysis and he participated in several bacterial and fungal genome projects. In 2000 he moved to the Spanish National Cancer Center (CNIO), where he set up the Bioinformatics group. In the CNIO he designed the first Spanish microarray (the Oncochip) in 2000 and he developed the most used resource for microarray data analysis on the web (GEPAS), now discontinued and included in the Babelomics, one of the most used resources for genomic data analysis and interpretation (cited more than 1500 times). The scope of the algorithms and software developed has evolved currently to the field of massive sequence data analysis. In 2005 Dr. Dopazo moved to the CIPF (Valencia) where he set up the Department of Computational Genomics (formerly Bioinformatics). There he promoted two genomic projects: the FutureClinic to prepare the scenario for the introduction of the genome in the electronic health record and the Medical Genome Project to sequence 1000 patients (800 sequenced to date) of inherited diseases to search for new biomarkers and disease genes. He was also involved in international projects such as the MAQC and SEQC (best practices in the use of microarrays and NGS, respectively, for finding diagnostic biomarkers) or the START consortium to characterize the variability of the rat genome. He has been also promoter of the CitrusGen project to sequence more than 500 citric genomes for genetic improvement purposes. Dr. Dopazo also coordinates the HPC4Genomics consortium, a joint initiative of the CIPF, several universities and companies that aim to combine genomic, bioinformatic and computing skills to address the new challenges posed by the technological advancement in genomics. Dr. Dopazo interests revolve around functional genomics, systems biology and development of algorithms and software for the analysis of high-throughput data (mainly, but not restricted to, Next Generation Sequencing) and its application to personalized medicine, agrogenomics and nutrigenomics. Director of Centre for Genomics and Oncological Research (GENYO). Full Professor of Legal and Forensic Medicine, University of Granada, Spain. He is Director of GENYO and Director of the Genetic Identification Laboratory (University of Granada). He is VicePresident of the Official Medical Association of Granada (2008 - 2016), and Professor of Criminalistics, Andalusian Inter-university Institute of Criminology in Granada. He is Member of the National Commission of Legal and Forensic Medicine Specialty of Spain and was Deputy Director of the School of Labor Medicine of Granada and Professor of the International Training Unit of the FBI Academy. He was Director of the "Catedra - Taller M. BOTÍN" of Genetic Identification. He has been and is Director Scientist of several relevant projects (such as "FÉNIX" Genetic Identification of Missing Persons Program”; Genetic Identification of Detainees Disappeared in Chile, in collaboration with the Legal Medical Service and the Ministry of Justice of Chile; Andalusian Program of Maternal and Child Genetic Identification;"Genetic Identification of the remains of Christopher Columbus"; "DNA-PROKIDDS" Program for Genetic Identification of Missing Children and against Trafficking in Human Beings; etc). Director of the Strategy for Innovation and Health Research of the Junta Andalucia. He is author of a great number of scientific contributions in relevant indexed journal and international conferences. He has had a great activity as Advisor to Governments, Organizations, Universities and Institutions of Asia, Europe and Latin America. Xavier Estivill obtained his BSc in Medicine and Surgery from the Autonomous University of Barcelona (1979). He was awarded the Haematology Specialist at Santa Creu i Sant Pau Hospital (1985). He was a research fellow and associated professor at the Biochemistry and Molecular Genetics department in the St. Mary's Hospital-Medical School (London). We obtained his PhD in Medicine from the Autonomous University of Barcelona (1987) and PhD in Genetics from the University of London (1995). He was awarded with the "Premio de Investigacion Reina Sofia" and "Premio Severo Ochoa de Investigacion Biomedica" (1995). He was also the director of the Genes and Disease programme (2002-2012), which comprised 5 research groups (Murine Models of Disease, Neurobehavioral Analysis, Genetic Causes of Disease, Gene therapy, and Gene Function). This programme was supported by the Spanish Ministry of Health (and the Catalan Government (Generalitat de Catalunya) and has contributed to the ENCODE project and to the structural genome variation project. Xavier Estivill is currently the group leader of the Genomics and Disease group in the Centre for Genomic Regulation (CRG) and Head of the Genomics and Personalized Medicine Unit, University Hospital Quiron Dexeus, Women's Health Department (Spain). His research group is focused on the evaluation of how different types of genetic variants (single nucleotide variants, structural variations, mainly copy number variants, and insertion/deletion variants, including transposable elements) contribute to common and rare human disorders. They are also exploring the contribution of epigenetic modifications and non-coding RNA pathways in complex diseases, mainly neuropsychiatric and neurodegenerative disorders. They approach these questions through very well characterized cohorts of patients and the use of high-throughput genomic platforms and functional studies including longitudinal studies of patients at different time-points and cohorts in which exposure to environment has been monitored. Alfonso Valencia is a biologist with formal training in population genetics and biophysics received from the Universidad Complutense de Madrid. He was awarded his PhD in 1988 at the Universidad Autónoma de Madrid. He was a Visiting Scientist at the American Red Cross Laboratory in 1987 and from 1989-1994 was a Postdoctoral Fellow at the laboratory of C. Sander at the European Molecular Biology Laboratory (EMBL), Heidelberg (Germany). In 1994 Alfonso Valencia set up the Protein Design Group at the Centro Nacional de Biotecnología, Consejo Superior de Investigaciones Científicas (CSIC) in Madrid where he was appointed as Research Professor in 2005. He is currently leader of the Structural Computational Biology Group at the Spanish National Cancer Research Centre (CNIO). This group is focused on the study of the molecular bases of cancer progression. They bring an evolutionary perspective to how global genome organisation influences tumour progression, i.e. how the interplay between genomics and epigenomics determines the cause and course of the progression of tumours. Additionally, he is a Member of the European Molecular Biology Organisation (EMBO), Founder and former Vice President of the International Society for Computational Biology . Alfonso Valencia serves on the Scientific Advisory Board of the European Molecular Biology Laboratory; the Swiss Institute for Bioinformatics, Biozentrum, Basel; the INTERPRO database; the Spanish Grant Evaluation Agency (ANEP); as well as the Steering Committee of the European Science Foundation Programme on Functional Genomics (2006-2011). Born in Barcelona in 1972. He obtained his BSc in Biochemistry (1996), MSc in Biotechnology (1998) and PhD in Biochemistry & Molecular Biology (2000) from the Autonomous University of Barcelona. He then joined the Structural Bioinformatics Group at the European Molecular Biology Laboratory (EMBL, Heidelberg, Germany) in 2001 where he did his postdoctoral training and became Staff Scientist (2003). 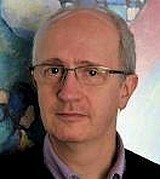 Since April 2006, Patrick Aloy is an ICREA Research Professor and Principal Investigator of the Structural Bioinformatics Lab in the Institute for Research in Biomedicine (IRB Barcelona). His main scientific interests are related with the field of structural bioinformatics, developing important technologies and algorithms to solve specific problems in several bioinformatic topics. His lab in Barcelona is currently focused on understanding the molecular bases of how macromolecular complexes and cell networks operate by analyzing protein-protein interaction networks with the help of high-resolution 3D structures. They are responsible, for example, of an important and highly used database of three-dimensional interacting domains (3did), which contains a collection of high-resolution three-dimensional templates for domain-domain interactions. Rita Casadio obtained her degree in Physics at the University of Bologna (Italy). She attended several courses both in Italy and abroad and acquired experience and theoretical background in different fields, such as Computer Science, Membrane and Protein Biophysics, Bioenergetics and Irreversible Thermodynamics. Rita Casadio worked in several Laboratories of Biophysics in United States and Germany until 1987, when she became Assistant Professor of Biophysics at the University of Bologna (UNIBO). Since 2013 she is full professor of Biochemistry/Bioinformatics/Biophysics at this university. Rita Casadio has worked in membrane and protein biophysics, particularly particularly with bacteriorhodopsin from Halobacterium Halobium and F1F0 ATPases from mesophilic organisms, both experimentally and theoretically. Her main research interests are currently focused on computer modelling of relevant biological processes, such as protein folding and modelling, protein-protein interactions, genome annotation, protein interaction networks, or SNPs search and annotation and their effect on protein stability. One of her major fields of research is the development of specific software for problem solving of large scale analysis of biomedical and biotechnological data out of genome sequencing or experiments on proteomes and interactomes. Methods are based on neural networks, hidden Markov models, Support Vector Machines, conditional random fields and their combinations. Her researches are devoted to different aspects of protein structure prediction, including prediction of secondary and tertiary structure, membrane protein topology, protein function, protein-protein and protein-DNA interaction, protein reaction mechanisms in biological processes and de novo design of peptides/molecules (for details see http://lipid.biocomp.unibo.it). She is the author of about 300 scientific papers and presented her work at several (over 300) national and international meetings. Ferran Sanz is chemical engineer by the Institut Quimic de Sarria (Barcelona) and BSc and PhD by the Universitat Autonoma de Barcelona. Currently, he is Professor of Biostatistics and Biomedical Informatics at the Universitat Pompeu Fabra (UPF, Barcelona) and Director of the IMIM-UPF joint Research Programme on Biomedical Informatics (GRIB). He has also been collaborating and visiting professor at Naples, Dusseldorf and Vienna Universities. Ferran Sanz has a brilliant research experience, including the authorship of than 100 articles in ISI-indexed journals and supervision of 18 PhD thesis. He coordinates eight EU-funded initiatives, as well as a STOA report for the European Parliament. Currently, he is academic coordinator of the IMI (Innovative Medicines Initiative) project on the in silico prediction of drug toxicity eTOX and partner in many other EU-funded projects, like the ongoing IMI project OpenPHACTS and EMIF. Ferran Sanz is member of the Scientific Committee of the European Innovative Medicines Initiative (IMI) and academic coordinator of the Spanish Technology Platform on Innovative Medicines (PTEMI). Coordinator of the Biomedical Informatics Node of the Spanish Institute of Bioinformatics (INB). Scientific Director of Bioinformatics Barcelona (BIB). Vice-rector for Scientific Policy of the UPF from January 2004 to March 2009, currently delegate of the rector for strategic projects in the biomedical field. President of the European Federation for Medicinal Chemistry (EFMC) from January 2003 to December 2005. Department of Chemistry. Centre for Molecular Informatics. Group Leader: Bender Group. Andreas Bender is a Lecturer for Molecular Informatics with the Centre for Molecular Informatics at the University of Cambridge. Until April 2010 he was an Assistant Professor for Cheminformatics and Pharmaceutical IT with the Leiden / Amsterdam Center for Drug Research and Head of the Pharma-IT Platform at Leiden University. In his work, he is involved with the analysis of various kinds of bioactivity data and the generation of property prediction models, mainly for small molecules..
Before assuming faculty positions, Andreas was a Presidential Postdoctoral Fellow with the Novartis Institutes for BioMedical Research in Cambridge/MA and the Broad Institute of Harvard and MIT, working on projects related to ligand-based drug design in Novartis' Lead Discovery Informatics group. His work comprised applications to predict biological targets for small molecules and approaches to chart chemical space and the relations among targets, based on the similarities of their ligands.Andreas received his PhD from the University of Cambridge (UK) developing virtual screening methods working with Prof. Robert C. Glen at the Centre for Molecular Informatics. He was a Cambridge Gates Scholar and a member of Darwin College whilst at Cambridge and did his undergraduate studies in Berlin, Dublin and Frankfurt as a German National Merit Foundation scholar. Andreas currently has more than 70 publications in the cheminformatics and bioinformatics fields to his credit and besides being a referee for more than 20 journals he serves on the editorial board of Combinatorial Chemistry and High-Throughput Screening (CCHTS).